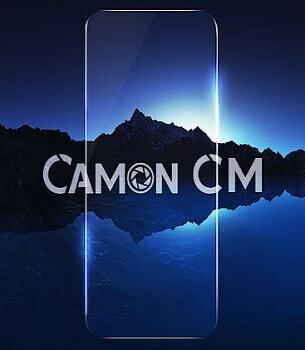 Tecno recently released a new high-end smartphone on the Camon series named "Tecno Camon CM", a smartphone with full view 18: 9 bezel-less frame design, display ratio reached by 85%. 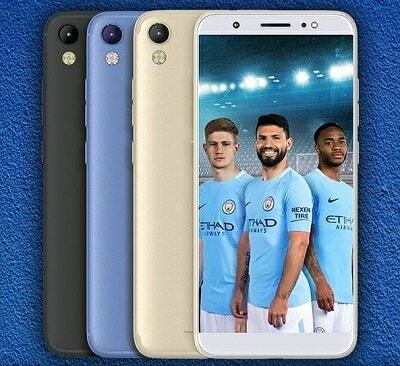 With a 5.7 inches screen and 1440*720 resolution screen display just like Samsung Galaxy, S8, and Apple iPhone X smartphones, this has been the very first time Tecno released an all screen smartphone that looks gorgeously smart and also packed with all the great features you can see on a smartphone. Tecno Camon CM is currently one of the best smartphone released in 2018 featuring screen size of about 5.7 Inches HD IPS Touchscreen with screen resolution: 720 x 1440 pixels (364 PPI), Android 7.0 Nougat operating system with HiOS 2.0 and Quad-core 1.25 GHz Cortex, Mediatek chipset processor, 2GB Ram + 16GB built-in storage memory, 13MP + 13MP front and back camera, 3000mAh battery capacity and fourth generation network (4G). No doubt Tecno Camon CM is a great smartphone but I will like to point out few things you need to know about Tecno Camon CM smartphone. I was impressed when I first saw Tecno Camon CM as it comes with full view 5-7 inch with HD resolution of 720 by 1440 pixels display which makes it look great and as well bigger for your viewing pleasure, watching videos or playing games with Tecno Camon CM will give you all the bliss you need. I have nothing against this smartphone when it comes to the operating system as it comes with one of the most recent Android Operating system (Android 7.0 Nougat) which gives you much power and fun as you will be exposed to unlimited Android features + apps and games in google play store. To be sincere I was not impressed to see that Tecno Camon CM only comes with 2GB random access memory (RAM) and 16GB read-only memory (ROM). I just thought that with this smartphone Tecno mobile should be on top of the game but was a bit disappointed with 2GB and 16GB memory, I was expecting at least 3GB Ram, 32/64GB Rom but it's important to know that, to make this phone a bit affordable some things must be compromised following other great features Tecno Camon CM is equipped with. Tecno Camon CM is not bad when it comes to the camera quality as it comes with 50/50 13MP Front selfie camera that enables you to do more with the front-facing camera and high-quality 13MP Rear camera capable to produce awesome images and videos. Tecno Camon CM smartphone is powered by 3000mAh battery capacity which is better but not perfects though but should be able to keep you going for a long time without interruptions. To conclude this review I will also which to let you know about other great features which include dual Sim cards that enables you to use 2 mobile networks in one phone just like other smartphones with dual sim, this phone also comes with fingerprint mobile security sensor that enables you to restrict access to your phone using your fingertips, Tecno Camon CM also comes with fourth generation Network (4G) that enable you to enjoy fastest video streaming, web surfing and downloads.